Colonel Dennis Deeley, Commander of Joint Multinational Training Group — Ukraine (JMTG-U). WHAT IS JOINT MULTINATIONAL TRAINING GROUP-UKRAINE? The U.S. will continue training and advising Ukrainian security forces until 2020, and JMTG-U will oversee defensive and security training for up to five battalions of Ministry of Defense forces per year. 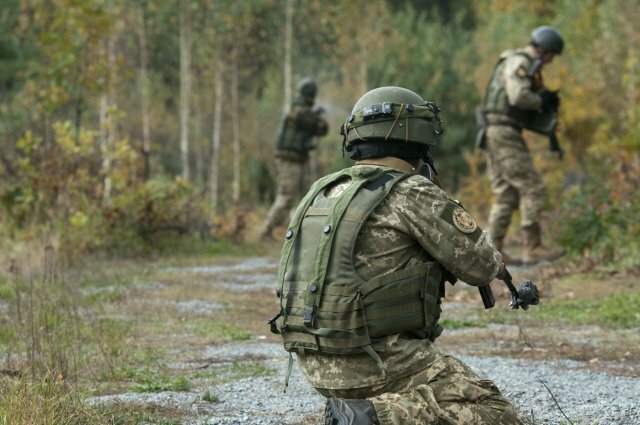 The training is focused at partnering at the battalion-level and below, building a professional and capable Ukrainian units to defend Ukraine's sovereignty and territorial integrity. The headquarters is also working with our Ukrainian partners on the development of their training center and cadre at the International Peacekeeping and Security Center. Other elements are working with the Ukrainian Army on a review and modernization of their doctrine.